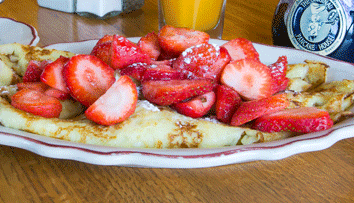 Give the gift of an Original Pancake House gift card. Dine with us at any of our locations in: Burnsville, Roseville, Edina, or Eden Prairie. The Original Pancake House was founded in Portland, Oregon in 1953 by Les Highet and Erma Hueneke. Drawing upon their many years of experience in the culinary field, and their extensive working knowledge of authentic national and ethnic pancake recipes they were able to offer, without compromise, our unique and original menu which has gained national acclaim. The Original Pancake House is a second and third generation family business, which takes great pride in maintaining the high standards that make our food so outstanding. All of our original recipes are hand prepped from scratch with only fresh ingredients. We can accommodate most of our guest’s custom requests, special needs, or new ideas. Our entire menu is available for carry out. 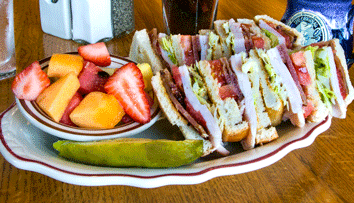 For those “brunch” types who may be looking for breakfast and lunch we serve an excellent lunch menu. Our lunch menu is available Monday through Friday starting at 11:00am. We will be happy to take reservations Monday – Friday for parties of five or more with one day notice. Private Dining is available at all of our restaurants for larger groups or events on weekdays (See Burnsville, Edina, Eden Prairie, or Roseville for more info). We would love to hear your questions or comments, please email us at comments@ophmn.com. Share your love for OPH! Gift cards are available in any denomination for that special gift. They never expire and we never charge usage fees. Gift cards can be used at all of our restaurants.